If you have a small dumpling making machine, the tough work of making dumplings will be totally solved, because this small dumpling machine can enable you to make delicious dumplings easily and fast. 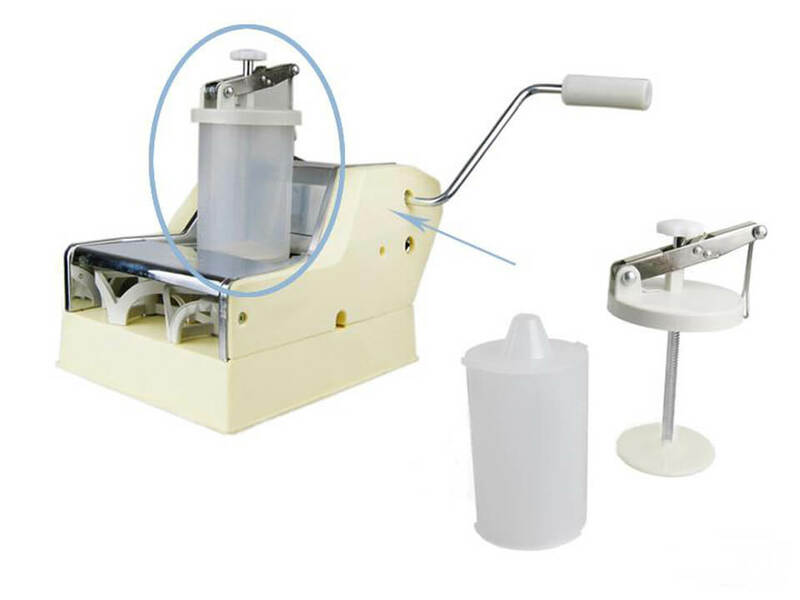 This small size dumpling machine is ideal machines for home use and the small restaurant. 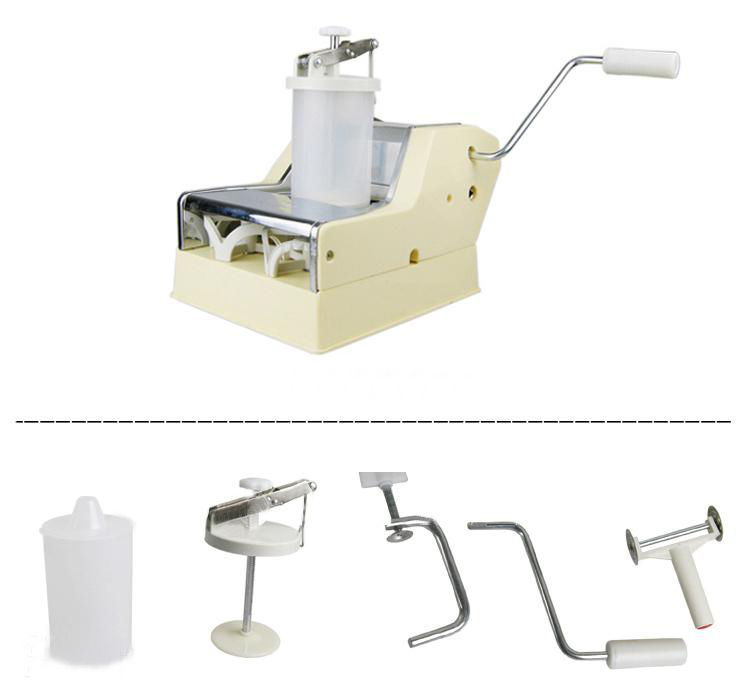 We also have automatic dumpling machine which is widely used in dumpling processing industry. 1. Attractive appearance, small and exquisite, easy to operate. 2. The high efficiency of more than 60 pieces of delicious dumplings made per minute. 3. Low energy consumption and long service life. 4. Wide application, suitable for small restaurant, household, school, etc. 5. Good after-sale service, reasonable price. Dumplings do like to stick to the pot, but with a few simple tricks, you can prevent that from sticking. 1. Line the steamer basket with a large lettuce leaf. This is the easiest method since it takes very little time and doesn't require extra work. The lettuce leaf won't affect the taste of the dumplings but it keeps the food from sticking to the steamer. 2. Brush the dumplings with olive oil. 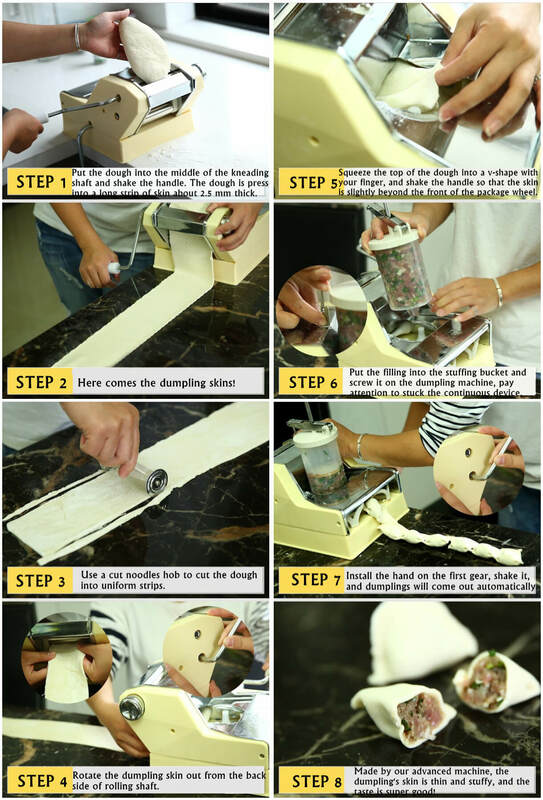 You don't need to cover the entire dumpling; just brush the area that will be touching the steamer insert. The oil will keep the dumplings from sticking. 3. Stir the dumplings slightly while they cook. 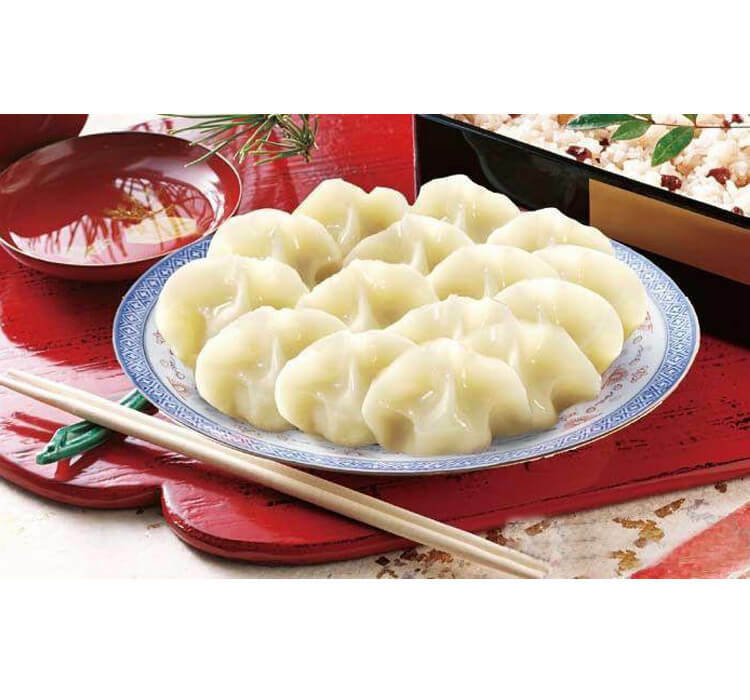 You don't want to stir too much so the dumplings can fully cook in the steamer, but stirring occasionally will keep them from sticking to the pan.